My friend Patrice Yourdon is an artist to the bone. Over the thirty years I’ve known her, whenever she’s moved, setting up her studio always comes first, before setting up her living space. Her artistic commitment is unrelenting. It’s just who she is. The girl can’t help it! As an artist-in-residence at the Museum of Art and Design, her brilliant sculptures (pinafores and baby dresses made of screws), both inviting and shocking, evoked oohs and aahs from the curious. 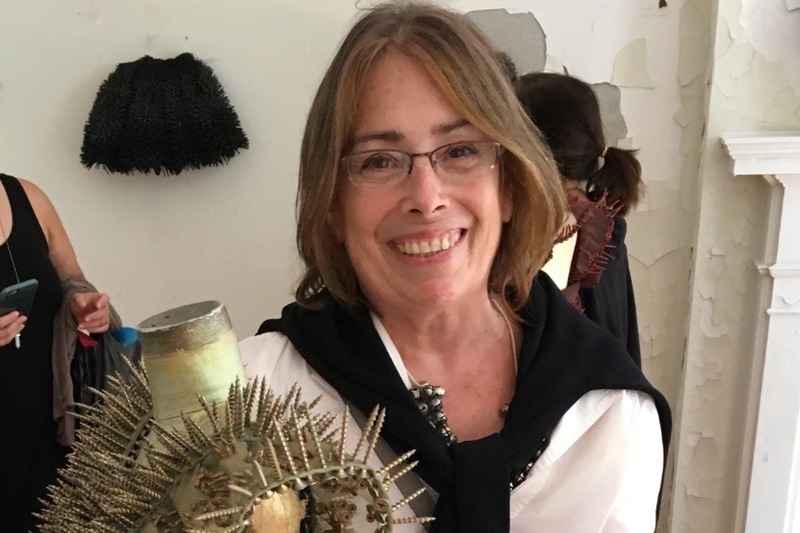 Her highly original work has been exhibited at the Governor’s Island Art Fair and the Kabinett Gallery in Boston. In addition to her sculptural work, Patrice is a Decorative Painter. Over the course of many years, she has worked with decorators and clients in and around the NY area creating exquisite murals and wall finishes. She is at the top of her game. But unfortunately, results of a recent regular mammogram have changed her life. Diagnosed with breast cancer, Patrice is facing serious surgery, followed by treatments and recovery time. She will not be able to work for awhile. Hopefully she will soon be cancer free and able to resume her career, but until that time there is looming financial stress related to medical bills and living expenses. She is happy for the support of her friends and the doctors at NYU Langone Medical Center. But to accompany the strength it takes to be on this road, she now needs peace of mind about the basic needs of life. Anyone who knows Patrice has experienced her great sense of humor and wit. She has approached this fight courageously from the minute she received her diagnosis, but she can not heal alone. She needs your support to provide a level of comfort that will encourage her recovery. Help her get back up on a scaffold with a paintbrush in her hand. Stand with Patrice on this challenging journey. Contribute if you can to her campaign. Absolutely anything you donate will be greatly appreciated and help her recovery.